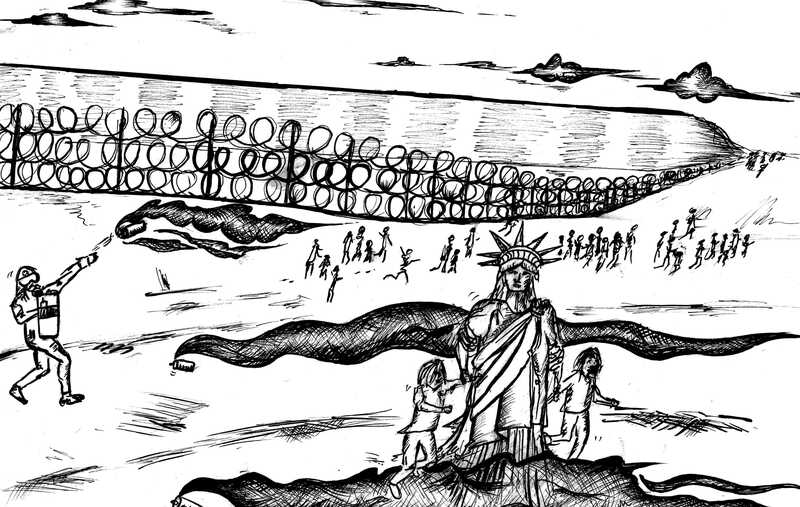 Illustration by Karla Ceballos | U.S. Border Patrol agents shot cannisters of tear gas against a group of Central American immigrants who attempted to climb the border fence Nov. 25. 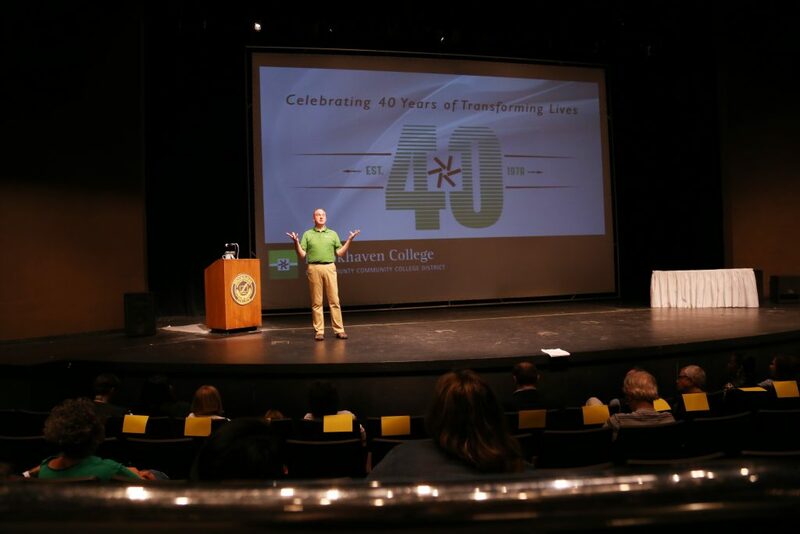 Photo by Jubenal Aguilar | Brookhaven College President Thom Chesney presents the annual State of the College address to staff, faculty and administrators Sept. 13. 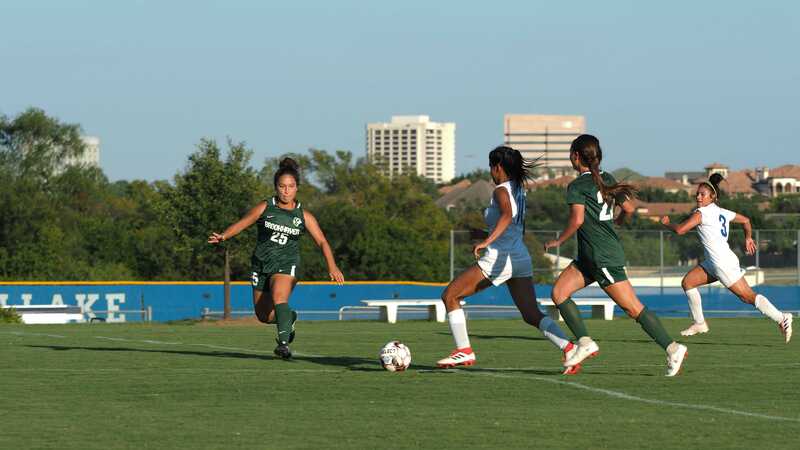 Photo by Jubenal Aguilar | Bears Julliana Dillon (#25) and Ariel Lopez (#27) try to stop Blazers forward Savanna Barron (#10) from advancing past Brookhaven’s defense Sept. 18. 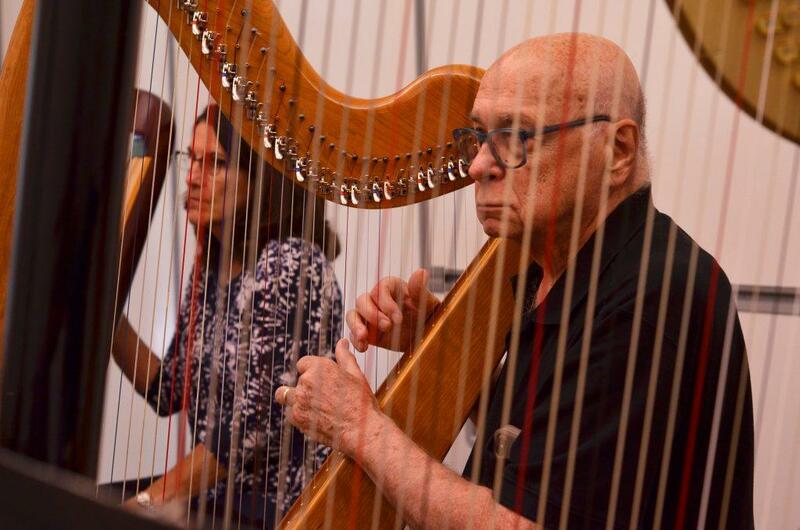 Photo by Jacob Vaughn | Brookhaven students, Stan Guy (left) and Grace Johnson (right), rehearse with the only harp ensemble in the Dallas County Community College District in Room W103. 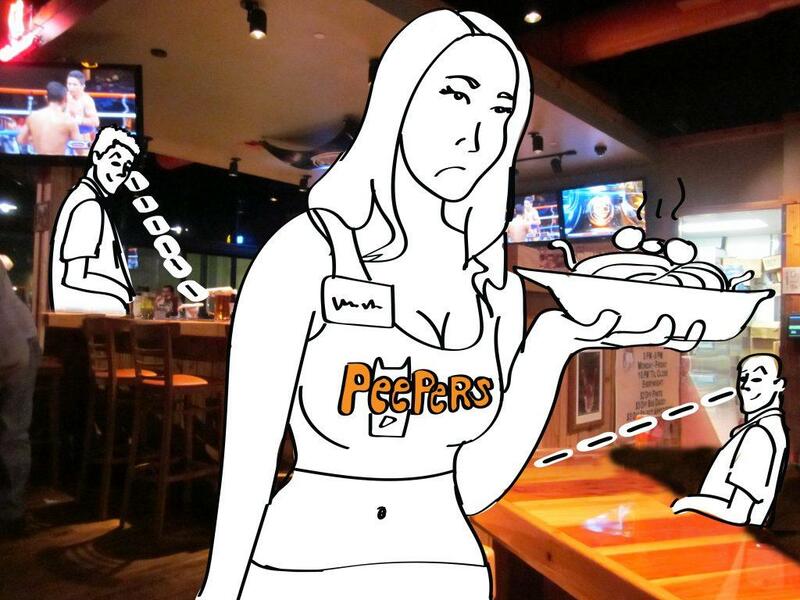 Photo illustration by Eriana Ruiz | Some waitresses might feel objectified working in establishments such as Twin Peaks and Hooters.